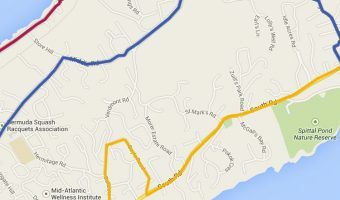 Bus Route 5 is the shortest of all the bus routes in Bermuda. It goes from Hamilton to Pond Hill, a residential community in Pembroke Parish. The journey takes just 10 minutes. There are no tourist attractions or hotels on the route.